Are you looking for professional removalist services in Sunshine Coast? When looking for a removalist, the most important factors to keep in mind are- controlled budget, well planned move and straightforward dealings. Is it easy to get all this? Yes it is! With a little help from our Removalists Sunshine Coast team, it can be a great experience. Our services are sure to help you make a hassle free move without having to worry about your belongings, and their safe and timely delivery. We completely understand your worry and we give it our best to remove your worry as far as possible. So what do we do? We first make some enquiries from our customers. We need to know the exact type of move you require- a local move, within Australia or an International move. After that we select and recommend a comparative quote list to our customers based on their specific requirements. This list is prepared after carefully going through each of the networking removalists we work with. 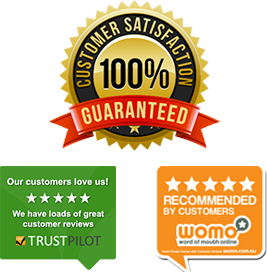 Our quotes show the accurate and competitive quotes provided directly by professional removalists. On getting this comparative quote list we assist our customers in making the final and perfect choice of movers. The service we provide comes with an added advantage of being absolutely free! So by the end of it all each customer does direct business with a reputed removalist, saves time and effort in doing so and also saves money. Our recommendations are credible as we update our networking companies from time to time after carefully considering customer feedback. All the companies we work with are guaranteed to offer the best price and maintain high quality and standards throughout the transfer process. 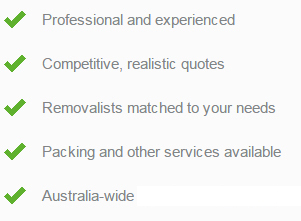 There are many removalists in Sunshine Coast but we handpick and work with only the best!